The Duchess of Cambridge made her first appearance since she announced that she is expecting her third child. 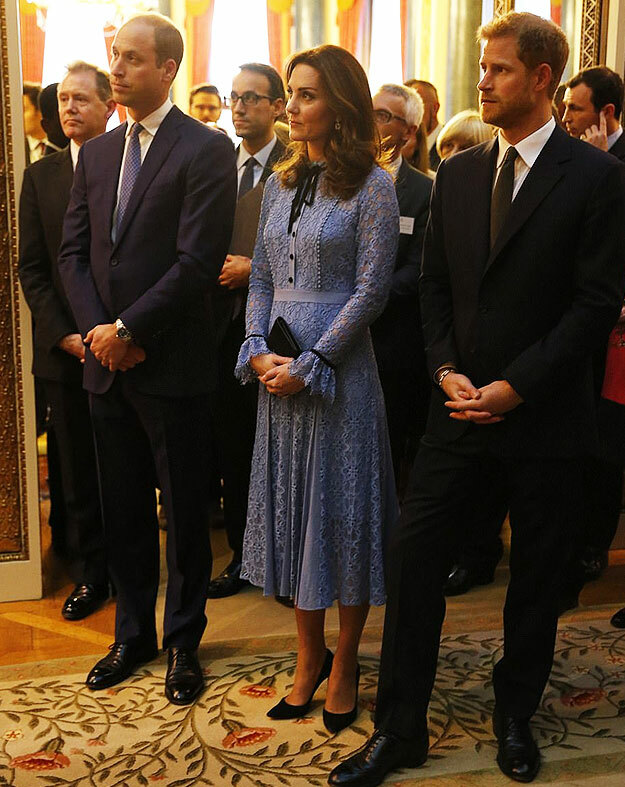 To mark World Mental Health day, Kate joined Prince William and Prince Harry at a Buckingham Palace reception to celebrate the contribution of those working in the mental health sector across the UK. The Duchess, who is in the early stages of her pregnancy, wore a blue lace gown, looking as graceful as ever which showed off the slightest sign of her baby bump. 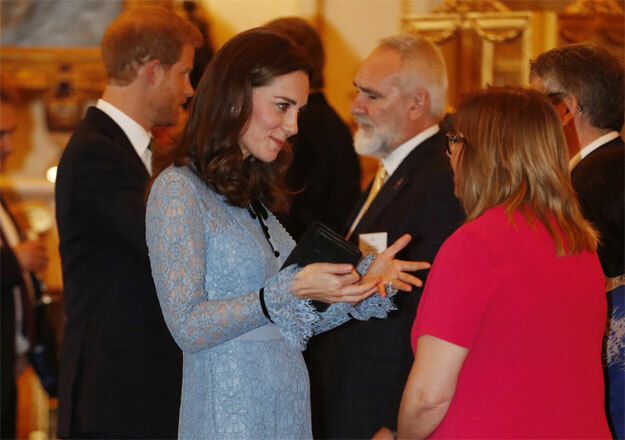 Along with her husband, the Duchess seemed in high spirits and took time to talk to the attendees. The palace is likely to confirm Kate’s due date soon.